Bill and Carol Cote ARE BC Studio. We welcome folks into our studio as if it were our home…which it is. But its also a professional space which is a full service video production studio. Bill, previously managed Studio 39 on East 39th Street and has over 30 years experience in film and video production. 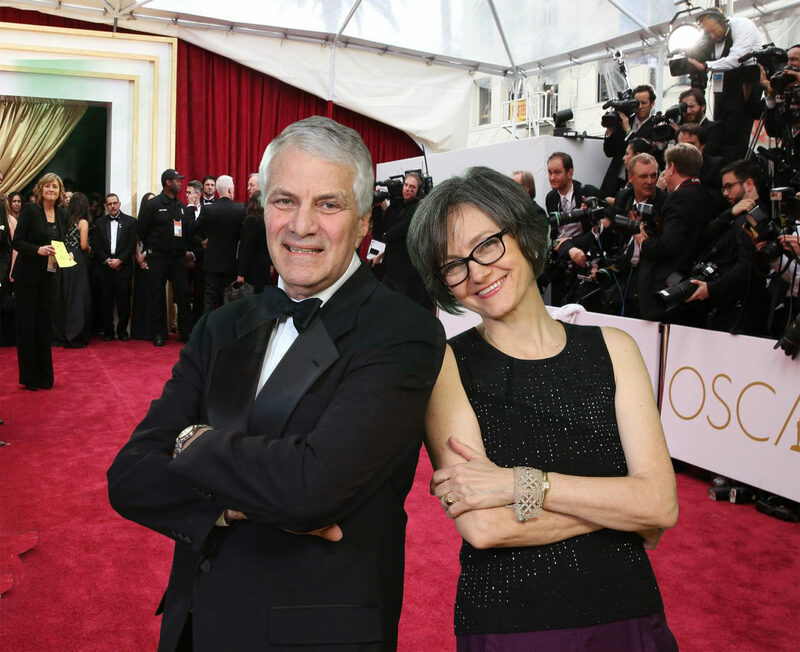 Seen above are Bill and Carol, pretending to be at the Oscars. Isn’t green screen wonderful? Our space is perfect for all types of projects including interviews, feature films, documentaries, product demonstrations and even cooking demonstrations in the working kitchen. We believe your shoot should be conducted in a comfortable environment. Our sound stage has been used to great effect from hosting cable shows, to fairly large room sets. We are conveniently located in the Chelsea neighborhood, near Penn Station, B+H Photo and Adoroma Camera rental. Clients often take advantage of the many props at hand, including our couches, lamps, dinning room table and chairs, drapes, books, vases and many other items to create a homey, lived-in look, and not just a plain white room. ● Interviews—Green screen is a great background for compositing images, but we also offer a selection of seamless backdrops in popular colors like white, black, light grey and dark grey. The widows can be used as natural light, or completely blacked out with floor-to-ceiling sound blankets available as part of the sound-stage package. We feel a sound stage should be quiet, so In addition to the sound blankets, a large grey curtain can enclose the shooting area around the green screen set, for even more sound control. ● Still Shoots—Many photographers have utilized BC Green Screen Studio for their still shoots, using green screen as well as traditional backgrounds. Recently a clothing catalogue was photographed with models standing in front of our workbench: an antique oak piece with toolbox and hand tools spread out to create a realistic environment. Its even possible to get a long, telephoto compression shot (which I love) by moving the camera back 25 feet or more! ● Television—Several television pilots have been taped at our green screen facility, and a few shows for Bravo have created a standing set for weekly taping sessions. Anything is possible at BC Green Screen Studio. There is no limit to the wonders that green screen videography can achieve. Ask how we can help on your next project. Our video studio / sound stage is in Manhattan, in the Chelsea district in West Midtown. Contact today to book your time with us.